Zebrano is an exotic wood from Africa that offers beautiful grains running throughout the wood and offers interesting shading. Each brush is a unique piece of sculpture. Brushes come in two different sizes. The large size is perfect for use while getting ready in the morning, while the small brush is ideal for your purse. 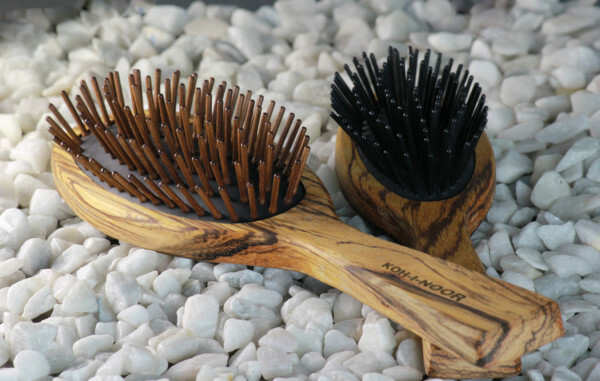 Also, Zebrano brushes come in three different bristle options including hornbeam, nylon pin and mixed bristle of boar and nylon. No matter you choose, you will be delighted by the lightweight brush that offers strength to style your hair so that it looks its best.